Shefali Vaidya is a noted blogger, author and a television panellist who regularly posts on her Facebook page which has over 87,000 followers. Yesterday she posted an appeal to support a civil liberties organisation named “Indic Collective”. This organisation is a novel initiative taken by a Chennai-based registered trust of activists, intellectuals and civil liberty advocates. Their main aim is to usher in an Indian renaissance with the help of legal actions and initiatives. According to them, their broad objective is to advocate via constitutional and democratic means, the right to an Indic way of life. As per them, their initiative has become imperative considering the rapidly shrinking space for Indic thought and values in its land of birth. Unconstitutional treatment of Indic educational institutions and recovery of stolen Indic artefacts. Our review petition work over the crackers ban issue is in progress. We will update as and when it is filed. Impressed with organisation’s goals, Shefali posted an emotional appeal to support this organisation and later also thanked everyone for their overwhelming response. She also expressed her gratefulness to those who shared and supported the initiative based on their trust in her. My FB account is under a block 4 a week coz I shared the appeal of support for @indiccollective. Wonder how it affects FB ‘community stds’? It was certainly strange as to why Facebook had chosen to ban an innocuous appeal to voluntarily help out an organisation. Incidentally till now Twitter India had developed a notorious reputation for suspending Right Wing accounts and those who made fun of AAP leaders. 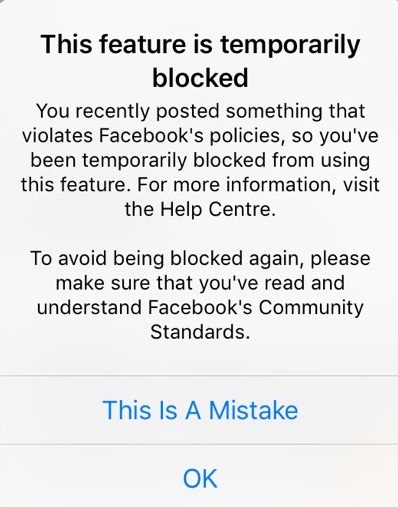 One reason might be that Facebook strangely blocks accounts of people who share bank account details of people other than their own, and Shefali probably added Indic Collective’s bank account details along with her appeal. Shocking..guess someone from the lefties is handling the FB India ?